We’re thrilled to announce the November WomensNet Amber Grant Winner…. 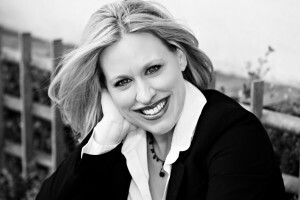 Is Sara Clark-Williams from Escondido, California. 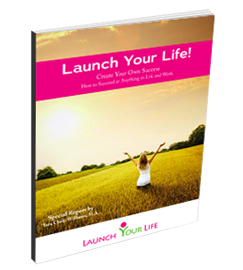 Sara is the owner of Launch Your Life where she is a life coach. We love Sara’s story as a women entrepreneur who used her passion to coach other women entrepreneurs. We were also impressed by Sara’s website and her use of social media marketing to promote her business. We’re sure you’ll be inspired and informed by the short interview we did with Sara below. BTW, we’re currently taking applications for the December/January WomensNet.net Amber Grant. We’d love to hear your story, and you just might be our next winner. But there are only a few weeks to get your application to us. So if you’re interested, please don’t wait. We will announce our winner the first week in February. WomensNet.net: First of all, congratulations on winning, Sara… so what will you use the $500 Amber Grant for? SCW:Thank you so much again for selecting me for this grant. I am so grateful…. I’ll use the Amber Grant to expand my reach, and to grow my business through: development of an MP3 audio companion to the “Launch Your Life Workbook,” as well as the creation of an ebook. Specifically, the funds will go to professional editing and design of both of these products. WomensNet.net: How long have you been in business, what exactly does your business do, and what lead to you starting Launch Your Life? WomensNet.net:So have you always had a passion for consulting? WomensNet.net:What have been the best business decisions you’ve made, and what were the results? SCW:One great business decision has been to manage my time effectively from the start. This is something that I find is most difficult for many of my clients, no matter how long they have been in business. Because I’ve focused so much on being efficient with my time, and using a variety of strategies to do that, it has helped me to confidently provide support and tools for my clients in that area… Another great business decision I made just this year was to listen to what my clients and prospective clients are telling me about what they need. Often they tell me what they want directly, but I have learned to hear what they need even when they don’t know exactly what they need. The result of listening to this “demand” was to create a new type of coaching service that is accessible to more women entrepreneurs than simply providing full service coaching services. I recognized what “demand” was and it has been empowering to create something that people want. WomensNet.net: What have been your worst decisions? SCW: My worst business decision was failing to continue networking and marketing during a time when I had a strong client base last year. As a result, my income dropped substantially for a period of time, and I found myself working hard to catch up. WomensNet.net: One of the things that attracted us to your Amber Grant application was that when we checked out your website, we noticed your extensive use of Social Media. How and why did you start using social media? SCW: I started using Social Media in my business in 2009 after I had been using it personally. I began noticing the value it could bring in staying in touch with and building a relationship with my clients and prospects. I started by using social networking sites like Twitter, LinkedIn and FaceBook, and I am now expanding to YouTube.